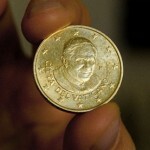 A new Vatican financial controversy? With two changes to the anti-money laundering law, the Holy See has made its financial system even more open and transparent. The changes – approved by the Pontifical Commission of Vatican City State on December 14 and in effect since December 17 – allow the Vatican Authority for Financial Information to reach Memorandums of Understanding (MoU) with counterparts in other countries, without having to obtain a prior nihil obstat («no objection») from the Vatican Secretariat of State. They also widen the range of international information exchanges, no longer limiting it to suspicious financial transactions only, and making it more generally oriented to prevent and combat money laundering and the financing of terrorism. The news of the law modifications have not been officially announced by the Vatican. This is not unusual, though. The changes are ultimately not going to make substantial modifications to Vatican City State law — they are merely adjustments that improve the law and make it more compliant with international standards. All countries make these sorts of adjustments periodically. On the other hand, the news that the Bank of Italy (Italy’s central bank) has blocked all electronic payments through cash machines and by credit cards in Vatican City State has provoked a small media storm. The blocking – according to Father Federico Lombardi, director of the Holy See Press Office – was due to a “technical problem”: the supplier, i.e. Deutsche Bank Italia, did not ask for the «required authorization» to operate. Deutsche Bank Italia manages since 1997 the electronic payments circuit in Vatican City State. Back in 1997, Italian regulations against money laundering were different (based on law 197, promulgated in 1991, and updated through the decree 153/1997) and Deutsche Bank Italia likely thought that it had to guide itself by Vatican legislation, not Italian. The inspection that lead to the blocking took place in 2010 – right when the Holy See path to gain full financial transparency began. The Bank of Italy wanted to make it clear that Deutsche Bank Italia is under Italian jurisdiction, and thus under Bank of Italy oversight. When Deutsche Bank Italia applied for the required authorization, it was denied. The reason: Italy considers Vatican City State a «not equivalent extra-communitarian country» with regards to financial and anti-money laundering oversight – as underlined by several «anonymous» and «financial circles» sources that have spoken to journalists about this issue recently. There is still no information about when this «technical problem» will be resolved. Some sources say that everything should be ok within a week, while others maintain that more time is needed because Vatican City State is not in the Italian white list. Italy may want to wait for the MONEYVAL fifth-round evaluation report – that will take place within the next four years – before including Vatican City State in its white list. Anyway, all of this would hardly amount to a new Vatican financial controversy. On the contrary, the most recent changes to the anti-money laundering law (contained in the law n. CLXXXV of 2012) are another Holy See step toward full financial transparency, in view of the inclusion of the Vatican Authority for Financial Information (AIF) to the Egmont Group, the global network of Financial Intelligence Units (FIU). That the Vatican initiated the membership procedure to join the Egmont Groups is significant: it places the Holy See among reputable countries on financial transparency. MONEYVAL evaluators rendered a positive assessment of the Holy See’s economic/financial structure, but they also identified some areas for improvement. One such area noted that the Authority for Financial Information only had limited powers to exchange information and sign Memorandums of Understanding with other Financial Intelligence Units. Everything changed with the law modification that the Pontifical Commission for Vatican City State – i.e. 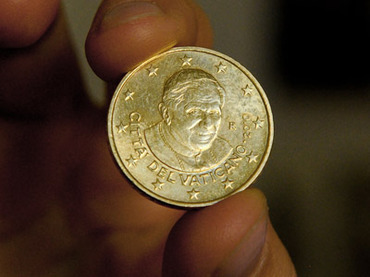 the Vatican legislator – approved on December, 14. Small changes, with a big impact. Clause 7 of article 2 of the Vatican anti-money laundering law (Vatican law n. 127) previously stated that «the Authority for Financial Information, if the State Secretariat will grant the nihil obstat, can enter into Memorandums of Understanding with comparable authorities of other countries in order to exchange information about financial transfers suspected of money laundering or of financing terrorism.» The law modification eliminated the need for a Secretariat of State’s nihil obstat. The Secretariat of State is already the body in charge of the foreign policy and the coordination of internal policy, including anti-money laundering policies. Article 41 of the law n. 127 also changes. In its new version, it widens the range of the international exchange of information, no longer limiting it to suspect transactions only. Instead, it is now generally oriented towards preventing and combating money laundering and the financing of terrorism. These two changes can be considered in the end another step of the Holy See toward the building of an economical/financial structure projected for the long term. As such, it should be welcome both by MONEYVAL and by individual States – for example, Italy – that pay a lot of attention to the Vatican path to financial transparency.